Recently our local movie night screened the Oscar-nominated documentary Gasland. Going in, I had an extremely vague notion of what the movie was about–natural gas drilling and how it had some kind of negative effect on the environment. Sounds like a snooze-fest, right? But I like the crowd who hang out at movie night, so I went along anyway. The movie follows Josh Fox, a guy who gets an offer from a natural gas company to lease his family’s land in Pennsylvania for $100,000. The gas company is interested in the land because it lies on a deep pocket of natural gas, which can be extracted using a process where water and chemicals are pumped deep underground. The extraction process is known as fracking, and the movie basically follows him as he travels around the USA, visiting communities that have experienced this process. He wants to answer the question, Is this fracking really a good idea? Okay, I didn’t expect that fracking would turn out to be a good thing, but nothing prepared me for the horror show that followed. The second half of the movie was one grueling story after another. They all went something like this: The gas companies came in, they pumped tens of thousands of pounds of toxins into the land. Wells were poisoned, animals died, people started to get sick. The gas companies denied all responsibility, by law they didn’t even have to reveal the names of the chemicals that these people were drinking and breathing in on a daily basis. I felt so bad for all the bewildered people I saw on the screen. I could feel their pain so hard, my heart hurt. They had been poisoned by VOCs and heavy metals, their health bought off for a sack of cash, and now they were going to have to live with the consequences for the rest of their lives. Hearing about the neuropathy, the headaches, the digestive and sensory problems, I kept thinking, This is just the tip of the iceberg. If this is what one man uncovered for one documentary, then this has got to be a mass poisoning of epic proportions. This country is so screwed. Sitting there in the dark, quietly swiping at the tears with my sleeve, it churned through my gut, what this all really meant. For each poisoned person appearing in a 30-second snippet, I could imagine the countless others suffering off-camera. I could imagine in vivid detail how their dramas would unfold. The frustrating doctor’s appointments, the mysterious pains, the increasing mobility issues, the fatigue, the anger, the brain fog, the trudge through a sick day that turns out to be the beginning of a sick year. It’s scary. The questions raised are so big, I don’t know yet what the answers are. I know it’s important to detox. I know it’s important to chelate. But cleaning up after the fact may not be enough here. Something has got to be done to turn off the toxic tap. It can’t go on. This poisoning has got to stop. Cool, i love film recommendations. I will check it out. This kinda crap has been going on long time now. The book “Silent Spring” By Carlson and Shackleton was the first serious expose of this kinda of enviroment poisoning. written in 1962. Amazing book. Essesntial reading for all eco-warriors! Reading this, I felt what any sincere individual might: sadness, compassion, and indignation. I felt compelled to express my indignation in some way in this post. But then I realised that sentiments of sadness and indignation are doubtless amply expressed by the film itself. I also have to remind myself that negativity begets negativity and that, ultimately, everything is as it IS. …We can, perhaps, play some partial role in moulding various aspects of our lives and of our external world, but on a deeper level, only the mind of the perceiver labels anything as ‘wrong’. It’s a harsh concept to accept, but ‘truth’ has no need or consideration of ‘niceties’ in order to exist. That’s something I’ve wrestled with most of my adult life, but the dissonance I’ve wrestled with isn’t a product of ‘truth’/’reality’, it’s a product of the conditioned perceptions of my mind which may happen to be at odds with whatever ‘truth’/’reality’ actually IS. …So either I work on getting my conditioning out of the way, or I continue to suffer anguish, to whatever degree the conditioning still holds sway over my perceptions. Such is the nature of human experience, I suppose. If I wasn’t experiencing mental resistance (and all the negative emotions that arise from that) in response to environmental pollution and it’s effects on health, then my conditioned human mind would just as soon find some other aspect of life to contend against. I say all this as someone who was mercury-poisoned by the very medical system I was conditioned to believe would assist my health, rather than damage it. However, in spite of the physical suffering which I continue to experience as a result, I recognise that because EVERYTHING in life is, fundamentally, ‘neutral’, until perceived by the mind, it thus has the potential to be interpreted by the mind in more than one way. Since the tendency of the mind is not to settle upon ‘neutral’ as a perception for something experienced as physically-unpleasant, it would be the easiest thing to also settle upon a psychological perception of such an experience as ‘negative’. Consequently, I could have chosen to respond to my poisoning by becoming embittered, vindictive, and litigious. However, I have come to see that my mercury poisoning, whilst physically unpleasant, has offered me many opportunities to grow and mature, psychologically. It has also contributed a means to my life by which I may offer some assistance to other, similarly-afflicted, individuals. This kind of experience is commonly mentioned by cancer survivors. Having faced-down the prospect of imminent death from a specific, identifiable cause, many survivors feel freer to explore more humanistic aspects of life they never previously considered, and may feel a desire to harness their traumatic experiences for the benefit of others. I know you’ve used your experiences of mercury poisoning as a stimulus to help others, by sharing them through your blog and your book, Áine, and in spite of their undoubted suffering, I hope those victims of gas production documented in the aforementioned film may find a way of using their experiences to grow and to help others. I appreciate that this post runs the risk of sounding patronising, but simply dismissing it on that basis would be to miss the point entirely. We’re ALL going to pass away at some point, NO Exceptions! Therefore, whatever it is that leads to our demise is surely not as important as what we DO with our lives in spite of our impending demise. If a physically unpleasant experience happens to be a stimulus in someone’s life, then it is up to them whether they choose to direct that stimulus toward negative or positive ends; the stimulus itself is, therefore, arguably irrelevant, difficult though that notion might be to accept. I can think of no finer example of this than Viktor Frankl, who survived the attrocities of Theresienstadt concentration camp in WW2 and went on to write extensively on the experiences of himself and others in that extraordinarily horrific and stressful environment. He used these human experiences as a stimulus not to decry the negative facets of human behaviour, as he easily could have done, but rather to try to gain some insight into what it is in a human being’s makeup that leads to some people responding positively and adaptively to intense life experiences, whilst others respond with resignation or strong negative emotions/behaviours. He made this his life’s work. I admire your positive outlook on your mercury experiences, Áine, and, having experienced mercury poisoning myself, and encountered your blog, I suspect there are a great many other people who read the blog, themselves mercury-intoxicated at some point in their lives, and who have faced the same dilemma – “do I respond to mercury poisoning in my life with a positive, proactive outlook, or instead with negativity?” The people in the film face a not-dissimilar scenario. Unpleasant though their situation may be (and, of course, I would not /enjoy/ experiencing it myself, any more than I enjoy being mercury-poisoned), they nonetheless have an opportunity to mould the experience for positive outcomes if one or more of them are inclined to sieze the initiative to do so. I wish them well. I did not want to read about this just now. You see my wife just landed a job in Austin Texas……yes that Texas of big oil, big pharma, big ag, big chem……and it turns out that west of Dallas has a huge fracking problem and so does Austin, but to a lesser extent. But what does a lesser extent mean? Lesser extent than what exactly? Any less dangerous or not dangerous at all? Austin prides itself in being a major cultural capital, but what is the point if the water will be killing our kids, or turning us into bloated tumors? The slogan says Get the Frack Out of Here. But the people carrying the placards are just college kids with earnest faces, God bless them. I will keep you posted. Please do keep me posted. It’s amazing how your decision-making processes change as you become aware of toxicity issues. For my last move, top of the list of criteria was, “Not on or near a toxic waste dump.” It would be funny except that when you start researching, it’s amazing how many people DO live on or near toxic dumps…. I just watched Gasland tonight and kept thinking about mercury amalgam fillings. 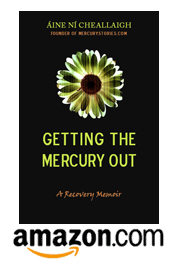 I watched the film because I do environmental advocacy work and wanted to be educated about hydrofracking but oddly, it made me think a lot about the symptoms I’ve had for half of my lifetime and the recent diagnosis I received for a heavy mercury and lead toxin load. Glad to find your blog and look forward to reading more! Amazing film. Shocking that this is happening today in 2011. Looks like we have not learned from our mistakes in yesteryear. The money blinds everyone except little people that get screwed. Such a shame.